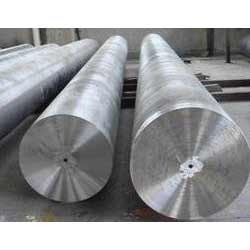 Prominent & Leading Manufacturer from Ghaziabad, we offer forged round bars. Assisted by a team of adroit professionals, we have been able to offer wide range of high quality Forged Round Bars to our customers. As a result of our consistent innovations and research, we have been able to deliver quality range of round bars in numerous specifications. Extensively used for different industrial purposes, we have been able to provide these round bars as per the specific requirements of the customers. Looking for Forged Round Bar ?